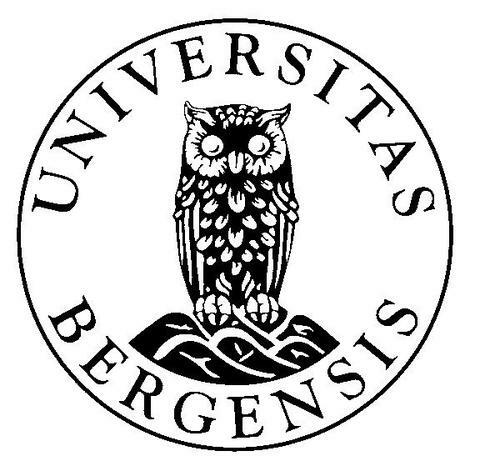 At UiB the Division of Student Affairs hosts an International Admissions Team that handles all international students, including Erasmus students, and helps prepare for coming to Bergen. Application for accommodation is usually made through this portal. MSc students have additional support from BIO department study advisors who have extensive experience in support and orientation for international students. At the beginning of each semester, the international office also hosts a Semester Startup Help Desk to answer questions and offer general campus guidance and assistance in using UiB's online services. They are responsible for welcoming of new students and handing out welcome information envelopes, giving guidance on semester registration and how to obtain an ICT user account, assisting with signup for residence permits if needed. A FAQ is maintained by Student Affairs (http://www.uib.no/en/student/49327/frequently-asked-questions ), and useful tips for preparation and arrival are collected in special pages for new students: http://www.uib.no/en/education/50047/after-arrival. Orientation days are also organised by the university to help students settle into the city and get introduced to local culture. An International Students blog (http://internationalstudentblog.b.uib.no/) also gives prospective and new students important information and insight into what is needed to come and study at UiB and what to expect on arrival and to have the best experience possible during the stay. UiB offers language learning based on a language exchange programme called Tandem. This is available for all international students studying at UiB, Norwegian students who plan an exchange semester abroad, foreign language students, or any UiB students who want to improve their language skills (http://www.uib.no/en/education/49436/tandem-language-learning). The Tandem language learning is simply based on language exchange through communication and interaction between two students speaking different languages. There are also formal courses in Norwegian offered to exchange students, and some formal courses in English language proficiency improvement. These are offered free of charge, as part of enrollment for the semester. The teaching practices in the specialization practices offered by UiB promote active learning with many team-based learning activities. Students have often noted in course evaluation surveys that they experience a significant improvement in their confidence and competence in English language as a result of their studies at UiB. Detailed information documentation, visa requirements and procedures for applying, and registration for residence permits for visiting students is given on the UiB Student Pages (http://www.uib.no/en/student). EU/EEA nationals are entitled to work, study and live in Norway, but if the stay is Norway for more than three months then students must register with the Norwegian Directorate of Immigration (registration is free). Students from EU/EEA must register within three months of arrival in Norway. Students need to show their acceptance letter from UiB, demonstrate that they have enough money to support their stay, and hold a European Health Insurance Card or have private medical insurance. Students are allowed to work in addition to studying. For students from outside the EU/EEA, the regulations are that a residence permit for studies must be applied for before entry. This is also called a study permit. UiB’s Division of Student Affairs and the UiB Student Pages provide information and practical support for all students through this process, including advice on getting a visa renewal, etc. Courses at UiB use different forms of examination such as written examinations, assigned exam papers, take-home examinations and oral examinations. The type of examination may vary according to the subject. Many courses require students to complete mandatory assignments (e.g. lab work or methodological assignments) or a term paper before being permitted to take examinations. Course may also offer continuous assessment throughout the semester. The examination or assessment type, and the grading scale (A-F or pass/fail), are listed in the course description of every course. Students register for examination in addition to registering for the courses, but at the same time and students can withdraw from the examination as late as 2 weeks before the exam date. (http://www.uib.no/en/student/49276/exam-registration-studentweb). It is possible to register for the same exam three times (with a few exceptions), so that allows two resits of an exam. Failure to withdraw from an exam registration before the 2 week deadline counts as one of three possible exam registrations. Students can appeal the result obtained for an examination, within three weeks of announcement of the results. Complaints are made to the Faculty Information Centre, and handled at the Faculty level. UiB is very strict about correct use of sources during examinations, and several systems are in use to check for cases of plagiarism (e.g. Euphorus). Students can receive a failing grade, or can even be expelled from the UiB for plagiarism.